The spear isn't for stabbing; it's for eating! 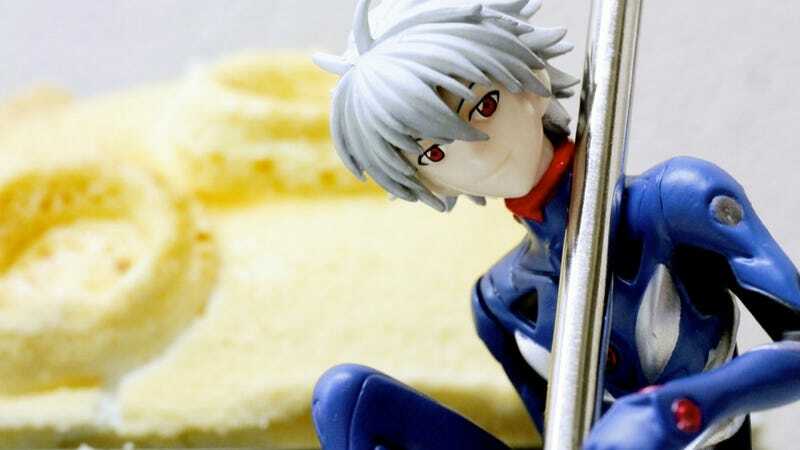 As previously noted, Japan is getting a ¥4,000 (US$50) Neon Genesis Evangelion moon cake, bundled with the spear of Mark.06 and a Kaworu Nagisa figure. Japan Uses Spears and Swords To Eat Evangelion Cake. You Didn&apos;t Know? The cake is mango, and Japanese site Gigazine recently unboxed the desert for the internet's viewing pleasure.